Home>News of Medical Accessories > Where to use syringes and needles ? Where to use syringes and needles ? According to Surgery encyclopedia, syringes and needles are sterile devices used to inject solutions into or withdraw secretions from the body. A syringe is a calibrated glass or plastic cylinder with a plunger at one and an opening that attaches to a needle. 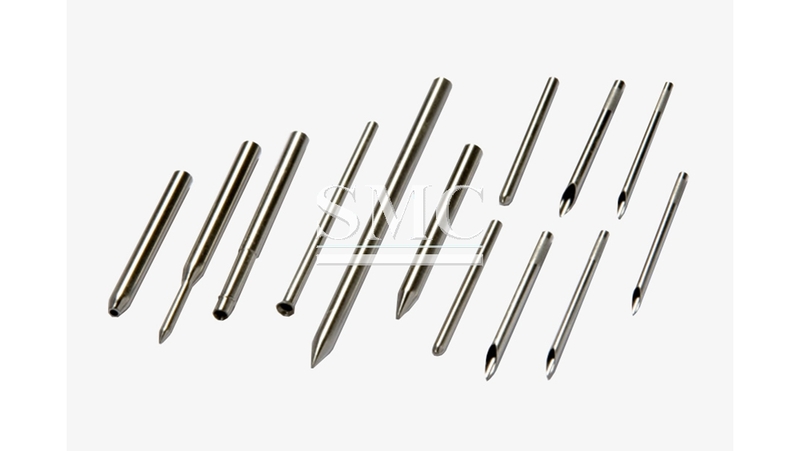 The needle is a hollow metal tube with a pointed tip. Syringes and needles are normally sterile products and should be stored in appropriate containers. Care should be taken prior to using them. The care provider should ensure that the needles have not been blunted and that the packaging is not torn, as poor handling or storage exposes the contents to air and allows contamination by microorganisms. Syringes and needles are used for injecting or withdrawing fluids from a person. The most common procedure for removing fluids is venipuncture or drawing blood from a vein. In this procedure, the syringe and a needle of the proper size are used with a vacutainer. A vacutainer is a tube with a rubber top from which air has been removed. Fluids enter the container without pressure applied by the person withdrawing the blood. A vacutainer is used to collect blood as it is drawn. The syringe and needle can be left in place while the health care provider changes the vacutainer, allowing for multiple samples to be drawn during a single procedure.